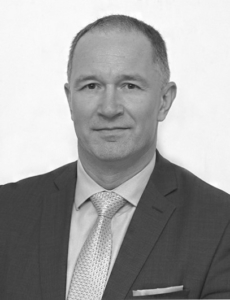 Blazo Nedic is internationally accredited independent mediator, trainer, consultant and attorney based in Belgrade, with over 25 years of practice in Serbia, Europe, and the USA. He is the President of the Serbian National Association of Mediators (NUMS) and one of the World Bank’s 30 Regional Mediators, where he serves as a mediator, facilitator and conflict competency trainer for the World Bank Europe and Central Asia regions. As a mediator he is certified by the ABA Dispute Resolution Section, ADR Group UK, and JAMS International. In 2014 he finished Harvard University Advance Program on Negotiation (PON). In Serbia he is licensed for mediation and accredited to conduct foundation and specialized mediation trainings by the Ministry of Justice, and is listed by the Serbian Chamber of Commerce and the Commissioner for Anti-Discrimination. Since 2006, Blazo focused his career exclusively on dispute resolution and he mediated several hundred commercial, workplace, property and discrimination cases, including 40 cases in Los Angeles County Superior Court in 2018. As a mediation specialist he assisted Baker Hughes – GE global litigation department in resolving complex international commercial disputes. Currently, he serves as the Key Expert for Mediation and ADR at the EU project – Support to the Supreme Court of Cassation in Serbia. In 2012 he was a recipient of the JAMS Weinstein International Mediation Fellowship, and is now a Senior Fellow of the Weinstein International Mediation Foundation. In 2015 he was a visiting lecturer at Belgrade University Faculty of Law Mediation Clinic, and in 2016 here received a mediation award from the Slovenian Association of Mediators. In 2017 and 2019, Blazo served as a judge and mediator at the ICC Mediation Competition in Paris, France. In 2015, he co-founded ADR Partners, a Serbia-based company providing mediation, negotiation and ADR services and trainings. Blazo holds a BA Degree in Law from the University of Belgrade, a Postgraduate Diploma in International and Comparative Business Law from Metropolitan University London, and LL.M. in Dispute Resolution Degree from Pepperdine University School of Law in Malibu, California. He regularly writes, speaks, and presents on mediation related issues at international events, blogs, and forums. He speaks Serbian, English and basic French, and mediates in Serbian and English.